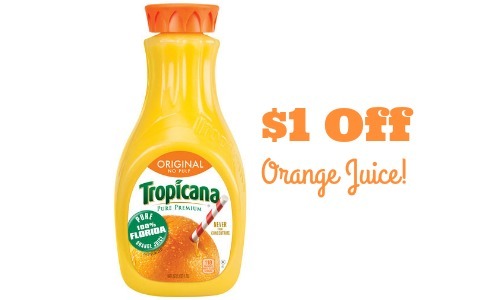 There is a new $1 off Tropicana coupon to help you save on orange juice! Go ahead and print your copies while available. You can pair this with a Mega Event at Kroger to get juice for $1.49!